JPMorgan Chase boss Jamie Dimon said Tuesday that he has been diagnosed with a curable throat cancer, but will remain working while undergoing treatment. The prognosis from doctors is "excellent" and it was caught quickly, he wrote in a memo to colleagues and shareholders. Dimon, 58, will receive radiation and chemotherapy treatment over the next eight weeks at Memorial Sloan Kettering Hospital in New York. Although he will curtail his traveling, the bank CEO expects to be actively working during that period. He made the announcement just before he was about to leave on a previously scheduled trip to five European countries, said spokesman Joe Evangelisti. That trip is now canceled. "I feel very good now and will let all of you know if my health situation changes," Dimon wrote. 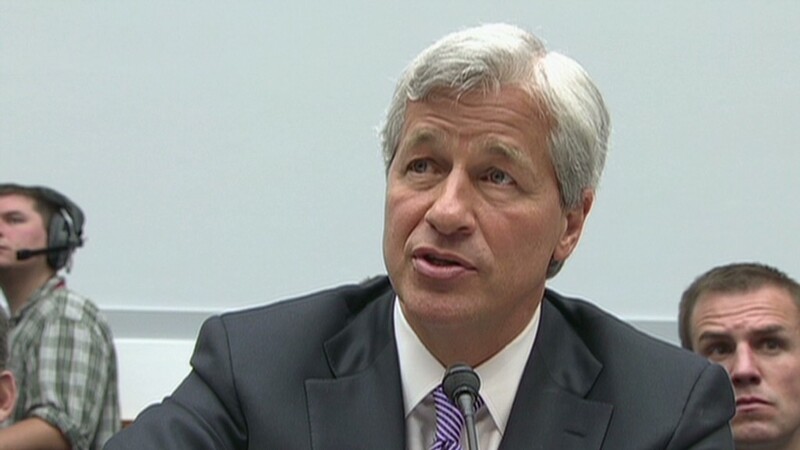 Dimon previously was president of Citigroup, then chairman and CEO of Bank One Corporation. He joined JPMorgan (JPM) in 2004 through a merger and was named CEO and president in 2006. He successfully steered the bank through the economic downturn. He was criticized for his handling of the $6 billion London Whale trading loss. The bank had to pay about $1 billion in fines to U.S. and UK regulators for not properly overseeing its traders related to that loss. JPMorgan also reached a massive $13 billion settlement last fall over allegations it, and two banks it purchased, misrepresented mortgage-backed securities, which played a major role in triggering the crisis. Dimon saw a pay cut in 2012 because of that issue, but his pay was bumped up again last year. He received $18.5 million worth of restricted stock on top of his $1.5 million base salary.